I find myself checking the listed vendors at the Smith and Wesson site every day to see if any of the three have any of these guns in stock yet. This is the first new offering ever that has me wound up about getting my hands on one. Pete63 and Cornhusker95 like this. My pistol came with tritium night sights, and no external safety. Just put another 75 rounds through it today. for it. Carrying it with an Alien Gear Shift shape 2.0 IWB. Whole set up is working well. 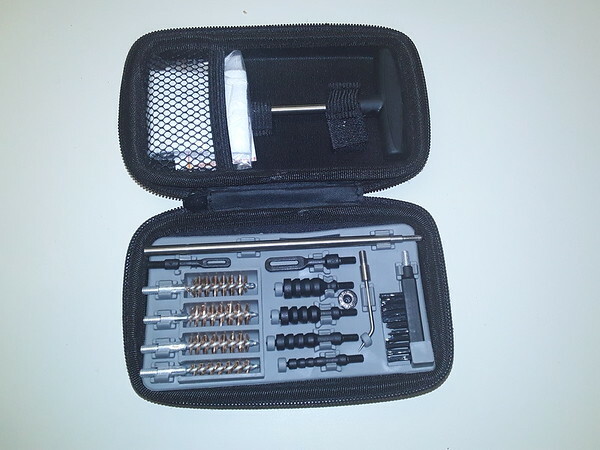 It came with (2) magazines, (1) 6 round (1) 7 round and a nice compact cleaning kit. has a better feel to it.. not by much. The porting doesn't make any huge difference in muzzle climb. Shoots accurate, I'm putting 2-3" groups at 6-7 yds, and I'm far from a precision shooter. the kick would've been much more than it was. He liked it, shot fairly well for 1st time out with it. Pete63 and sparkyfender like this. Correct. Mine aren't Performance Center models. I've yet to see any four-inch models available. Yeah but...................does it take glock mags??? It does not. Fortunately, I already have plenty of Shield mags. 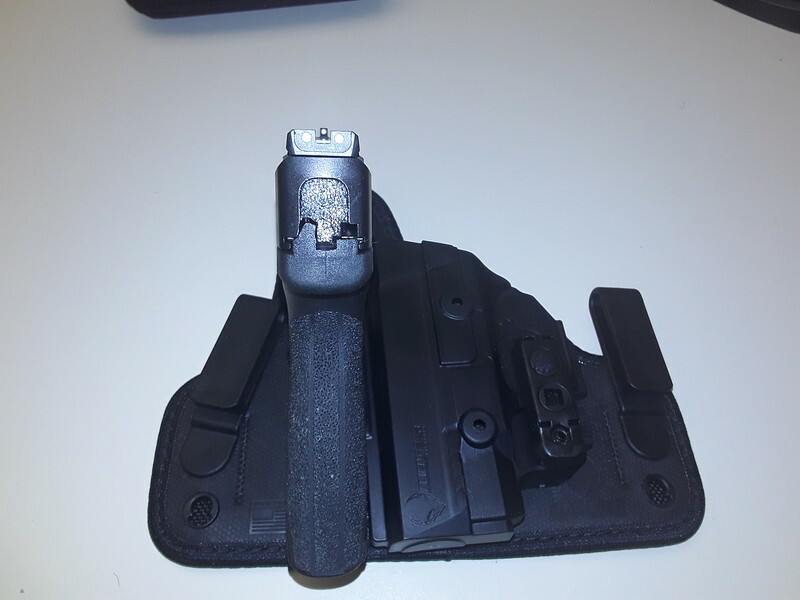 Think you have "A" Glock mag also. You are correct, mine is the 3.3" barrel. 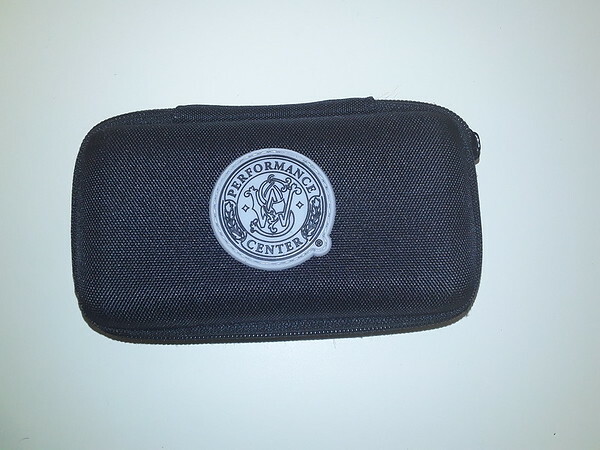 This IS a Performance Center Shield 2.0, so I want partial credit... only because I wanted to show it off!! Yes, plenty of Glock mags, too. Old Man and PhaedrusIV like this. 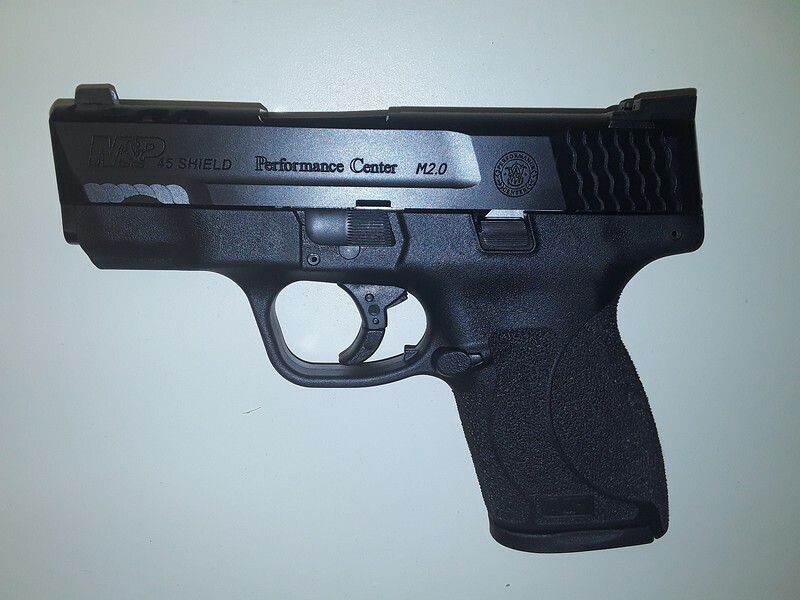 These are finally showing up on Gunbroker, mostly in .40 and 9mm. One .45 with red dot installed. Good golly, Mike ! You're nearly cured ! We know, you can quit anytime you want to. Pete63 and Rockymonster like this. I suffer from that age old problem - too many guns I want, not enough money to get them. Now, another one. Mike1956, Wavygravy and Rockymonster like this.